"Detective Didi" is an upcoming serial on Zee TV. Zee TV always launch different type of shows for gaining the high TRP rating. 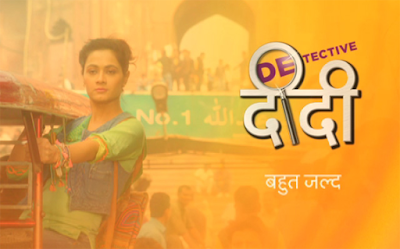 Detective Didi(Lead role Sonia Balani) will be another show on Zee TV, this serial will be about a detective girl who would solve various crime-related incidents. Her journey will be eventful and the show will focus on her professional as well as personal life. Apart from the detective drama, the makers will also have a parallel romantic storyline. Actor Manish Goplani will play the male lead and he will be Sonia’s lover as well as her accomplice in solving cases. Manish’s character will be a police man who will be seen supporting and helping Sonia to crack difficult cases. Manish was last seen in the show Thapki Pyaar Ki as the male lead and his fans have been keenly waiting his return on the small screen. This show is produced by Trilogy Krikos who have earlier produced successful shows for Zee TV like Hitler Didi and Lajwanti.